Stay in Dolomites's best hotels! Located in Andalo, just 1148 feet from the Paganella 2001 ski resort, the family-run Hotel Garni La Roccia offers free Wi-Fi. The hotel features a free wellness center and rooms with a balcony. Perfect location, walking distance to shops, restaurants and ski lifts. About 1.9 mi from Bolzano, Der Eggentaler is a 3-star hotel 9.3 mi from the Carezza and Latemar ski slopes. It offers an outdoor pool, sun terrace and free ski storage. Outstanding location, world class restaurant, friendly staff. Overall exceptional experience! Located along the A22 Autostrada del Brennero motorway, Hotel Sachsenklemme is 1.9 mi north of Franzensfeste. The room was larger and nicer than expected. Our family of four was very comfortable. The staff was nice and helpful. The breakfast was good. The mountain view was nice. Chalet Aster is offering accommodations in Moena. Featuring a shared lounge, this property also provides guests with a playground. The property has a spa center and free WiFi. The decor of the chalet is beautiful. The room and bathroom were really nice and clean. Breakfast is varied and delicious. I really recommend it! Located in Valle di Cadore, Càdor Hotel has a garden, a terrace and a bar. Featuring room service, this property also provides guests with a restaurant. Free WiFi is at guests' disposal. We loved this hotel! It had Venetian style decor, beautiful grand oil paintings hanging all over the walls and rich textured wallpaper and drapes. The staff and waiters all spoke English and were so attentive and helpful. We originally booked a standard room but it was facing the road, so we asked and for only €20 more a night we upgraded to a room facing the mountains, deffinetly worth it! We kept the windows open the whole time and just couldn't get over how beautiful that view was. We were here to ski in Cortina d'Ampezzo, we thought the 35-40 minute distance might have been the only con but it wasn't. The drive was easy and absolutely beautiful, the time flew by. We are actually glad we booked out of the town as not only do you get more for your money but I think the view here is better as well. It was really convenient having the restaurant and bar at the hotel as we were able to come home shower and go downstairs for dinner. They have a lovely restaurant and the pizzas are excellent! After reading the negitive reviews @ their breakfast we were actually surprise as we found there to be tons of options including vegan (as I am). There was lots of fresh fruit, including a fruit salad. Granola and muesli, yoghurt, eggs, an assortment of cakes, tortes and pastries. Fresh breads butter and jams. Juice, coffees, tea and milk. ( incuding dairy free). I think it was pretty significant selection considering how low the cost is. I I've paid a lot more for rooms w/breakfast and gotten less. The only thing that was a tad annoying was the floors were very squeaky but I guess that is to be expected with such an old building, and ultimately it was part of the charm as the hardwood floors were beautiful. They were also pet friendly, which was the number one reason we chose this place. We travel everywhere with our cat Jinx. There was only a small €10 fee for the extra cleaning which was very reasonable! Garnì Domus Mea is located in Merano, a 6-minute walk from Tennis Court and 0.4 miles from Parc Terme Merano. Around a 10-minute walk from Parc Elizabeth, the property is also close to Therme Meran. Friendly host, clean room, nice breakfast, own parking. Located an 18-minute walk from Doss Dei Laresi, Albergo Garnì Antico Mas del Medico in Cavalese offers ski-to-door access and garden. We travel a lot and this Hotel will definitely belong to Top facilities we have ever visited. Located in San Candido, an 11-minute walk from Erschbaum, Hotel Brandl has a number of amenities including ski-to-door access, a garden and a terrace. Location, Cleanliness, Food and above all the amazing staff!! Residence Egger provides accommodations in Terlano. With a garden, the property also features a terrace. The restaurant serves Pizza and Italian cuisine. Very nice and cozy. Good breakfast. Super clean. Located in Tesero, 5 miles from Agnello, Hotel La Sorgente has accommodations with a bar. This 3-star hotel offers free WiFi. Latemar is 5 miles from the hotel. Modern hotel with lovely room, nice bathroom, nice wellness area with view on the town. Located in Bressanone in the Trentino Alto Adige Region, 4.7 mi from Cathedral of Bressanone, Apartment Lodge Gasserhof features a year-round outdoor pool and views of the mountain. Staff was warm, welcoming and professional. The room was large, clean, and comfortable. Featuring an indoor and an outdoor pool, Josef Mountain Resort offers accommodations in Avelengo. It is a very nice hotel situated in a perfect location for relaxing. Set in La Villa, Hotel Savoy features free WiFi access and a wellness center with hot tub, hammam and sauna. The room was large and comfortable. Food was good too both at breakfast and dinner. Featuring free WiFi and a restaurant, Tenne Lodges offers pet-friendly accommodations in Racines, 328 feet from Ratschings-Jaufen. Guests can enjoy the on-site bar. Very new property with excellent and friendly staff. Wellness area great , infinity pool stunning. Located in Baselga di Pinè, Albergo Garni' Laura has free bikes, a garden and a terrace. Among the various facilities of this property are a shared lounge and ski storage space. The location is beautiful and peaceful. Room has everything you need with a great breakfast. Garni Appartement Trojer is located in Campo Tures, 1.4 miles from Skischulbahn, and features free bikes, barbecue facilities and a garden. Located in Verzegnis town center, Al Fogolar features a mix of modern and classic interiors. Free WiFi is available throughout. Very helpful and friendly staff. Very good restaurant on site. Location is just wonderful. Offering panoramic mountain views from its patio, Lumen features a restaurant, a bar and classic-style rooms with bright interiors. The hotel is located 3 minutes' drive from Falcade town center. Everything: the services, people, food, all. Boasting a sun terrace and mountain-style rooms and apartments, Garni Angerer is located in Ahrn Valley, 1.2 mi from central Lutago. Free WiFi access and free bikes are available. Comfortable beds and clean rooms. Authentic style, service and breakfast. Offering direct access to the ski slopes, La Locanda del Cantoniere - Ciasa Vervei is 4.7 mi from the center of Cortina d’Ampezzo. It features a traditional restaurant, a garden and a bar. Excellent Breakfast included in the price. Lovely restaurant in the hotel for evening meals. Offering a free spa and surrounded by gardens and a park, Hotel Hubertushof features elegant rooms with a balcony. With free Wi-Fi and free BBQ, it is located 0.6 mi from the Rienz ski elevators. La habitación grande, luminosa y confortable. El baño inmenso. 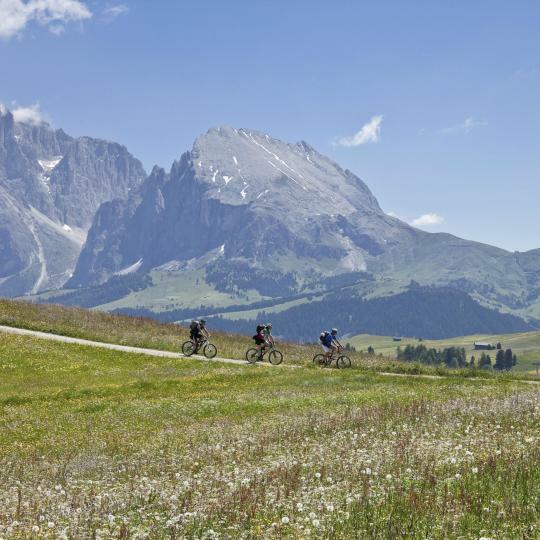 Bike lovers will enjoy the scenic trails and beautiful landscapes of Eastern Trentino, the Fiemme, Fassa and Valsugana valleys. Lake Carezza owes its nickname, Rainbow Lake, to the spectrum of colours reflected in it. Explore its surrounding woodland. Snow isn’t just for skiers and snowboarders. 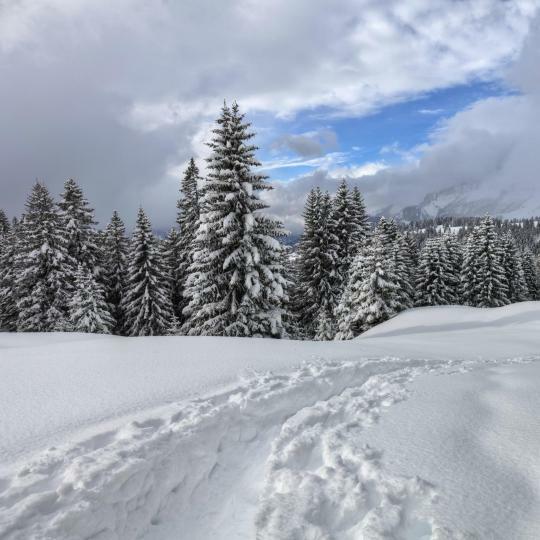 Grab a pair of snowshoes and uncover the Dolomites’ walking trails. 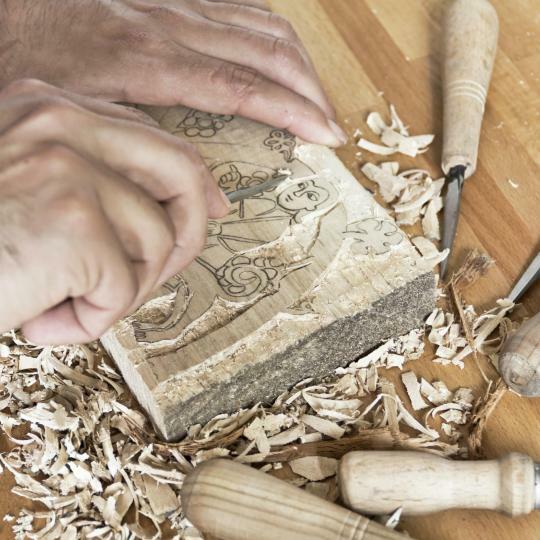 Gröden is proud of its ancient wood-carving tradition, adorning village homes and the local museum’s collection of life-sized figures. 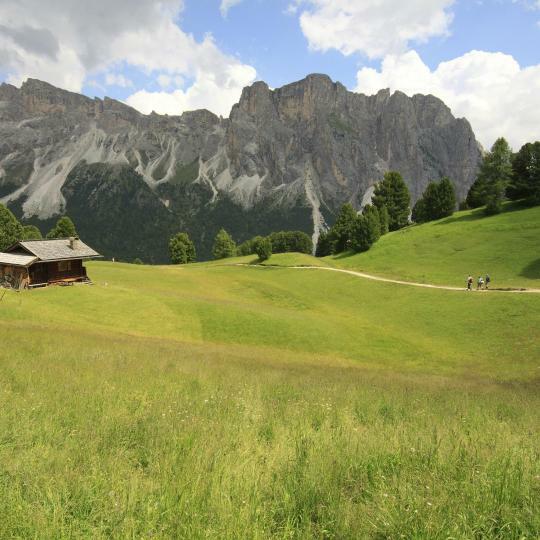 This Western Dolomites protected area offers dramatic views, hiking and guided tours. Naturerlebnisweg Zans is the first wheelchair-adapted hiking trail. 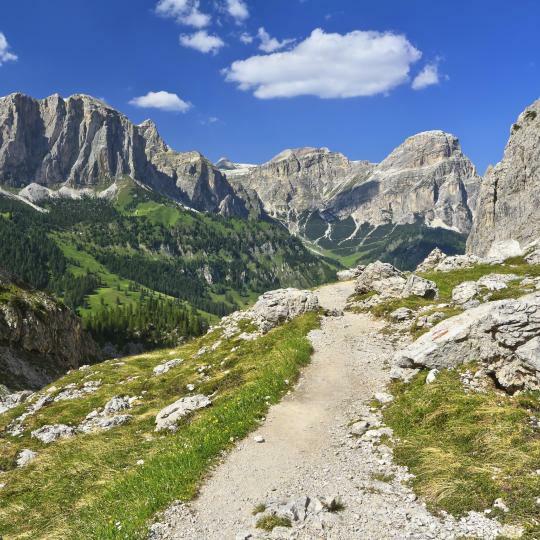 This 200-km-long network of hiking trails connects several Dolomite valleys and is dotted with charming villages along the route. 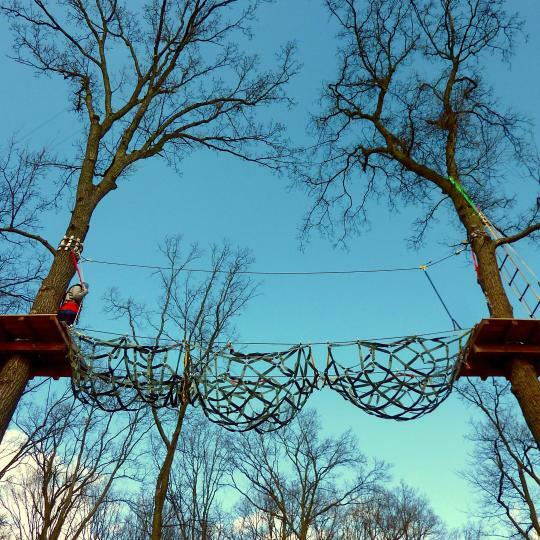 Scale Pfalzen’s dizzy heights on a 14-metre-high rope course. Afterwards, a relaxing trip to nearby Lake Issing is ideal. As the temperature drops, San Martino transforms into a labyrinth of icy streams and waterfalls. 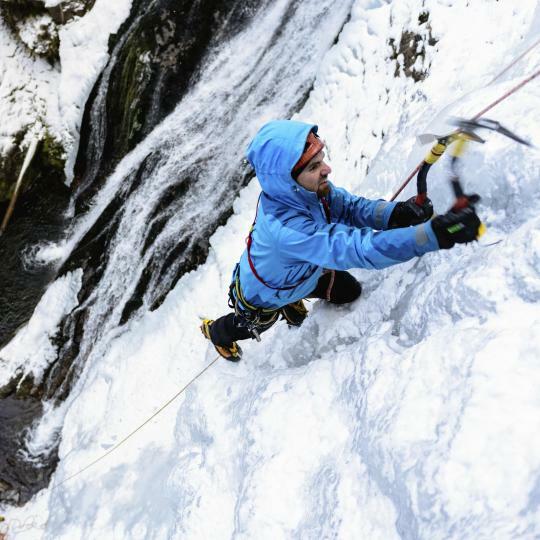 Climb its frost-clad canyons. 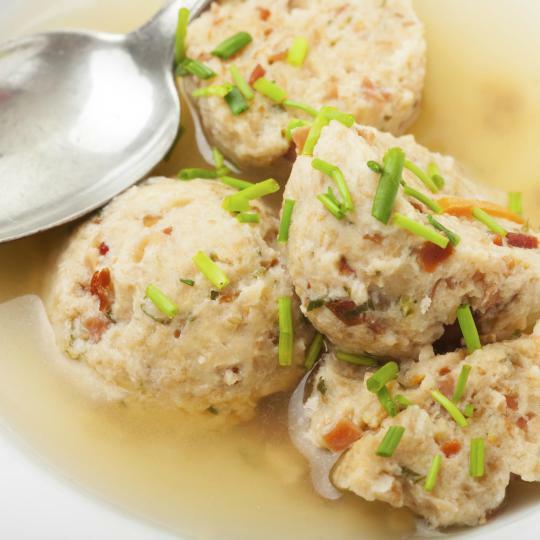 Tryolean Knödel (bacon-filled bread dumplings) are one of the region's tastiest dishes. Savour one by the fireplace with a beer. Snowparks offer a fun day snowboarding for beginners or advanced. 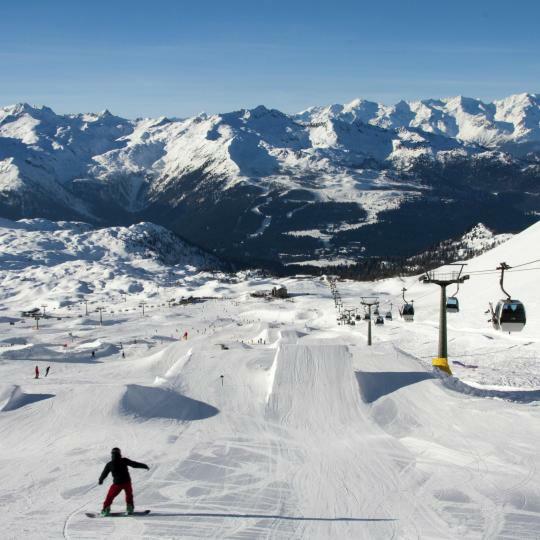 Try out slopes, curves and jumps amongst an amazing setting. Our stay at Hotel Cir (pronounced “Cheer”) was delightful. It is perched atop the Dolomites with a 360 view of the surrounding mountains and valleys. And the wildflowers!!! They go on for miles. You must schedule time to just sit on their deck and take in the beauty of it all. Nature puts on such a spectauclar show right before your eyes. The people who work there live to make each guest’s experience special. The mountain views may bring you there but the memory of their warmth and hospitality will make you want to return again and again. The best place we stayed on our 2.5 week travels through Italy, Slovenia and Croatia. The location, facilities and staff were amazing. Matteo runs a well oiled B&B with clean rooms, awesome views and an even better breakfast with a spread I've never seen before. Our whole hotel stay was peaceful and easy in a beautiful setting. Would highly recommend this hotel for anyone traveling to the area and as a good base to explore the Dolomites. Wish we could have stayed much longer and hope to visit again In the future! Friendly people, but what I really liked was that the room was so clean and fresh! The sheets smelled so nice and the bed was really comfortable. They even had blinds for the window to make it extra dark. The bathroom was spacious with a nice shower. Also, the room was cleaned and made up every day with fresh towels. There is a garage under the hotel where you can park and there is a separete room to park your bike safely. If we go back to the Dolomites we will defenitely stay here again. We loved this place! The host was so accommodating and friendly. We arrived earlier than expected, and he had no problem meeting us right away. He also let us borrow a drying rack so we could do laundry. The neighborhood is very peaceful and the room has great views, we really enjoyed relaxing on our balcony when we weren't hiking or otherwise enjoying the beautiful Dolomites. Highly recommend if you like a good value (not for people who want a luxury hotel). The hotel is in the center of charming Castelrotto centrally nestled in the heart of the picturesque Dolomites, convenient location for touring the region. Rated as a 3 Star Hotel, it is much more; friendly & accommodating staff, hearty breakfast & the comfort room has a large sitting room & table nook, laundry facility available, dining discounts at neighboring restaurants, & convenient parking. Highly recommended! We loved this small hotel. Really friendly staff, especially Luca and the lovely owners. The food is perfect for a day of mountain recreation. The hotel is really well located in the magnificent Dolomites. The property is very clean and great attention to detail for the decor. Val di Fassa is gorgeous. The tram is walking distance from the hotel for summer hiking or winter skiing. Great value. We stayed at Hotel Fedaia during our motorcycle tour in the Dolomites. We neded a place to spend 2 nights around Canazei and we found this gem. The room was clean and comfortable, the staff helpful and friendly. Good breakfast, although not a very wide variety of products. Motorcycle parking with rain cover available. The restaurant across the street also offers good value for the price. This was our return to civilization and the city after a week of hiking in the Dolomites. Although we traveled without Europe-capable phones (never again), the host came to meet us at the door and let us in and to explain the apartment. It was in a quiet area, and yet very conveniently located, a short walk from both the train station and the lively, beautiful old part of Bolzano. Beautiful Alpine hotel with the backdrop of several tall peaks so the views were spectacular! The accomodations were also perfect, everything was clean, new and as you would expect. To top it off the owners are very helpful and kind with every request, which made the whole experience in the Dolomites very charming. We are looking forward to returning again soon!! Everything about this hotel is first class, from the very organized package you receive at checkin with details of all the local activities to the robust breakfast. The hotel is ideally located and the staff are extremely helpful and accommodating. Highly recommend this hotel as an excellent location from which to explore the Dolomites. Great location on the northeast side of the Dolomites. Just a few minutes from an unreal valley view and easy access to a lot of hiking. Hotel had a lot of opportunities to explore as well. It was a little too cold still for the outdoor pool but it looks super sweet. The location was absolutely beautiful. We were literally on top of the mountain, with the Dolomites surrounding the entire area. The hotel (Savoi) staff (3 sisters) were wonderful and treated us like royalty! The food was exceptional and service unbelievable! This is a beautiful little apartment hotel in the gorgeous town of Colfosco ,the staff were helpful in very way and the accomodation was comfortable.We would certainly be very happy to return and to recommend it as a great base for a stay in the Dolomites. This comfortable and well-maintained older-style hotel is located in the very center of Cortina d'ampezzo and has free parking. There's also a pool and breakfast in the morning is substantial. The hotel is a great base for exploring the dolomites. A wonderful guest-house style hotel, with beautiful dinners in a charming dining room. 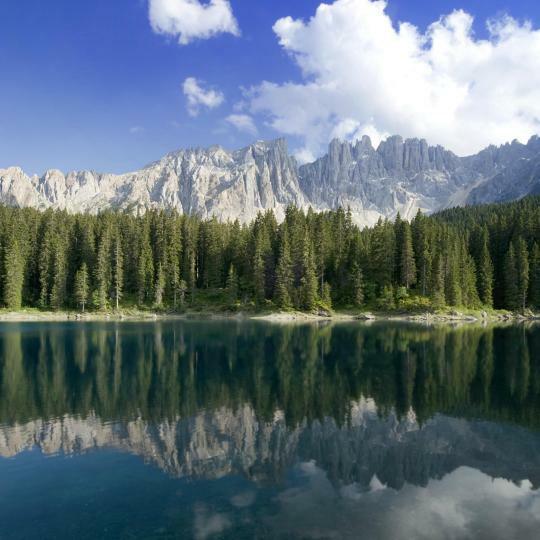 Set on the lakeside, just outside the village, with great views over the lake to the Dolomites. Couldn't have been better. A great base for walkers. We stayed 4 adolt for one night to relax after a 5 days hiking at the dolomites. Very nice hotel, the room, dining room and the spa were good and nice staff asist. Hotel was very charming and an easy 5 minute walk to the town center. Staff was spectacular and the view of the Dolomites from our room was outstanding! They had a very good restaurant right at thehotel. It was nice to relax and eat therr after a long drive through the Dolomites.